The latest holographic interface being developed over at lm3labs enables computer screens to be displayed in mid-air and users to interact with Google Earth by using their hands. The potential for this technology is positively awesome. 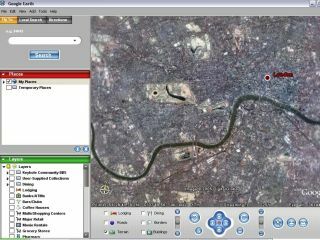 Google Earth is the ideal application with which to show the new interface off, as anybody who has used the virtual globe program can immediately grasp the possibilities of holographic interface control. The tech comes from UbiqWindow and even though it's only a 2D projection, it is still an exciting indicator of the future of the computer-human interface.